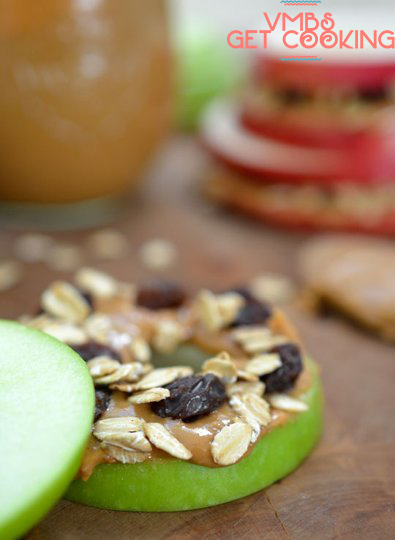 What happens when apples and peanut butter – that old standby – get dressed up with a little flair? 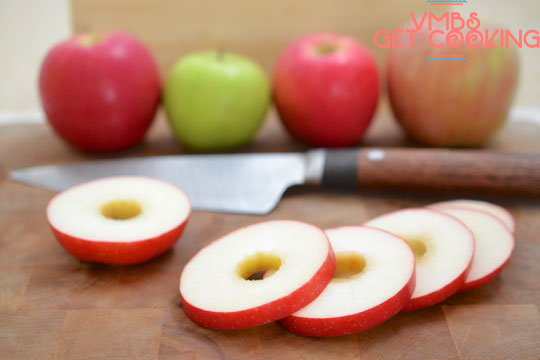 They turn into these charming little apple sandwiches. Apple sandwiches are great for both adults and kids (little hands can help assemble them), and they're adaptable for various preferences and allergies. Instead of peanut butter, you might try almond butter or pumpkin-sunflower-flax seed butter, and the raisins may be swapped for dried cranberries, chopped dates, and other dried fruits. I like the simplicity and texture of lightly toasted oats, but granola is an option, as are toppings like chocolate chips, shredded coconut, and chia seeds. 1. Combine the oats and cinnamon in a dry skillet over medium heat and toast, stirring occasionally, until the oats are golden. Cool before using. 2. Mix together the peanut butter and honey. 4. 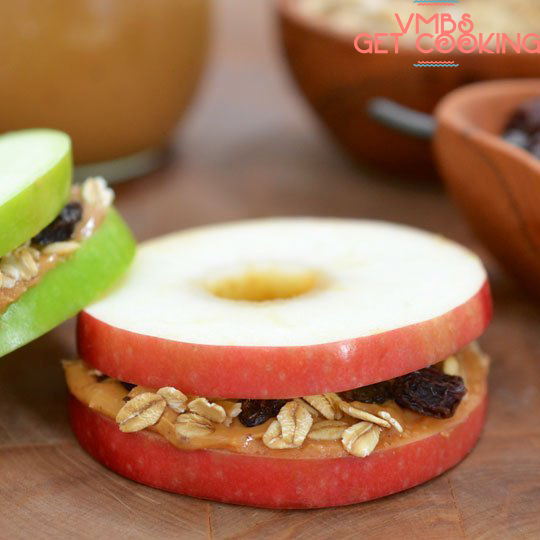 Spread 1 tablespoon of peanut butter on 3 of the apple slices and sprinkle with raisins and oats. 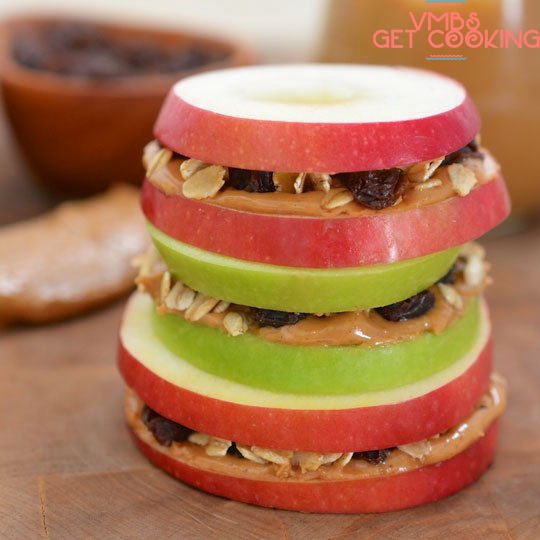 Top with the remaining apple slices to form sandwiches.